After a 4-year gag order against Dr. Judy Mikovits was recently lifted, Health Impact News interviewed this whistleblower regarding her research that shows 6% of the U.S. population is harboring a retrovirus in their bodies that can develop into an acquired immune deficiency. See our previous article, Vaccines and Retroviruses: A Whistleblower Reveals What the Government is Hiding. Judy A. Mikovits, PhD, earned her BA from University of Virginia and PhD in Biochemistry and Molecular Biology from George Washington University. In just over twenty years she rose from an entry-level lab technician to become director of the lab of Antiviral Drug Mechanisms at the National Cancer Institute before leaving to direct the Cancer Biology program at EpiGenX Pharmaceuticals in Santa Barbara, California. There in 2006, she became attracted to the plight of patients with Chronic Fatigue Syndrome and Autism. In only five years she developed the first neuroimmune institute from a concept to a reality and is primarily responsible for demonstrating the relationship between immune based inflammation and these diseases. She has published over 50 scientific papers. But it was Dr. Mikovits' research showing the relationship of the XMRV mouse retrovirus to Chronic Fatigue Syndrome, and then Autism, and other diseases, that brought about much trouble for her. The data showed that 6% of the U.S. population is harboring a retrovirus in their bodies. Dr. Mikovits spoke the truth about the fraudulent use of government research money, the marketing of inaccurate retrovirus tests, Medicare fraud, the contaminated blood supply, and the harm that is associated with vaccines and their schedule of administration. Her research showed how retroviruses are linked to the plague of modern illnesses that are bankrupting the U.S. healthcare system. She was arrested without a warrant and held in jail for 5 days without the opportunity for bail as a fugitive from justice. Her career was destroyed. Her story is documented in the book Plague: ​One Scientist's intrepid Search For the Truth about Human Retroviruses and Chronic Fatigue Syndrome, Autism, and Other Diseases. 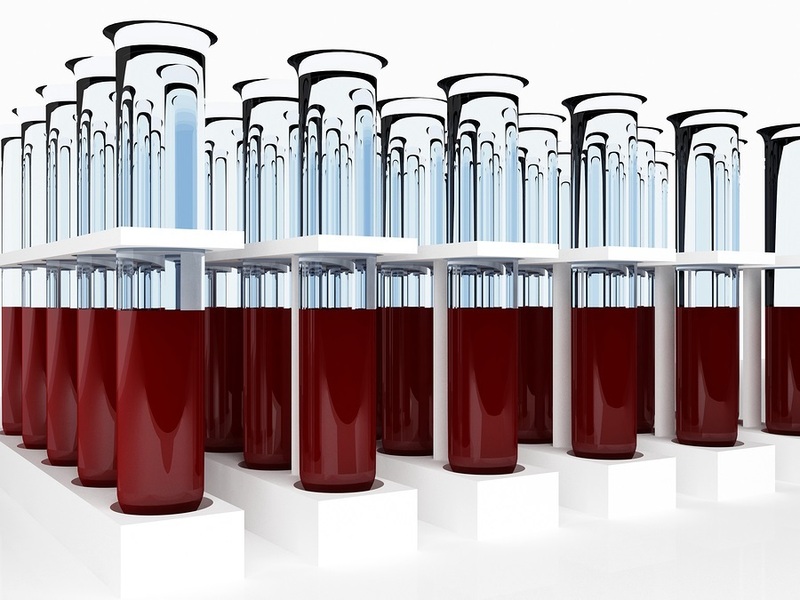 Her co-author, Kent Heckenlively, brings us this article showing how the FDA has approved a testing protocol to detect retroviruses in the U.S. blood supply which is worth millions of dollars, and based in large part on Dr. Mikovits' research. So while this distinguished scientist is now bankrupt and without employment, others are allegedly capitalizing on her research to earn millions of dollars to clean up the U.S. blood supply. NON HIV AIDS cases have been presenting in score since 1992 (i.e., the year our veterans started returning home from Gulf War). My NON HIV AIDS case goes up through the NIH, CDC, White House, WHO, to the UN. I testified federally in Washington-DC, sat on conference with the America Red Cross, and am published 35 times on 4 continents. We have a very progressive Facebook Page entitled: "HIV Negative AIDS?" Or simply google "NON HIV AIDS"
Join us on Facebook: HIV-Negative AIDS? www.facebook.com/pages/HIV-Negative-AIDS/237370956341176?ref=hl or simply google "NON HIV AIDS"
It may be possible that the recent advent and spread of microwaves from cell towers and wifi's, among many other sources of Micro and other radio waves, are contributing to the increase of these things, by affecting the immune system. Amazon does have this book in downloadable form--I just downloaded it as an E Book...if you have an Ipad, you can get a free cloud reading app, and download the book directly onto you "library" and read it immediately. The E Book is not free, but costs less than the paper book. xileen said: > **Give this girl a NOBEL! ** Give this lady a huge uplift for being the most compassionate, honest, and having moral values. She has dedicated her life for our benefit even though she has been railroaded. My respects for her - there are no words for and gratitude beyond any I have known. Her book is in 2nd printing and should be available again soon. Thank you Dr. JUdy for being you! Admin said: > After a 4-year gag order against Dr. Judy Mikovits was recently lifted, Health Impact News interviewed this whistleblower regarding her research that shows 6% of the U.S. population is harboring a retrovirus in their bodies that can develop into an acquired immune deficiency. See our previous article, Vaccines and Retroviruses: A Whistleblower Reveals What the Government is Hiding. > > Judy A. Mikovits, PhD, earned her BA from University of Virginia and PhD in Biochemistry and Molecular Biology from George Washington University. In just over twenty years she rose from an entry-level lab technician to become director of the lab of Antiviral Drug Mechanisms at the National Cancer Institute before leaving to direct the Cancer Biology program at EpiGenX Pharmaceuticals in Santa Barbara, California. There in 2006, she became attracted to the plight of patients with Chronic Fatigue Syndrome and Autism. In only five years she developed the first neuroimmune institute from a concept to a reality and is primarily responsible for demonstrating the relationship between immune based inflammation and these diseases. She has published over 50 scientific papers. > > But it was Dr. Mikovits' research showing the relationship of the XMRV mouse retrovirus to Chronic Fatigue Syndrome, and then Autism, and other diseases, that brought about much trouble for her. The data showed that 6% of the U.S. population is harboring a retrovirus in their bodies. > > Dr. Mikovits spoke the truth about the fraudulent use of government research money, the marketing of inaccurate retrovirus tests, Medicare fraud, the contaminated blood supply, and the harm that is associated with vaccines and their schedule of administration. Her research showed how retroviruses are linked to the plague of modern illnesses that are bankrupting the U.S. healthcare system. She was arrested without a warrant and held in jail for 5 days without the opportunity for bail as a fugitive from justice. Her career was destroyed. > > Her story is documented in the book Plague: ​One Scientist's intrepid Search For the Truth about Human Retroviruses and Chronic Fatigue Syndrome, Autism, and Other Diseases. > > Her co-author, Kent Heckenlively, brings us this article showing how the FDA has approved a testing protocol to detect retroviruses in the U.S. blood supply which is worth millions of dollars, and based in large part on Dr. Mikovits' research. So while this distinguished scientist is now bankrupt and without employment, others are allegedly capitalizing on her research to earn millions of dollars to clean up the U.S. blood supply. I have been unsuccessful in locating the book: Plague. Out of stock on Amazon. does anyone know of a source for the book? what is the name of the blood test that one would have to determine the presence of retroviruses?